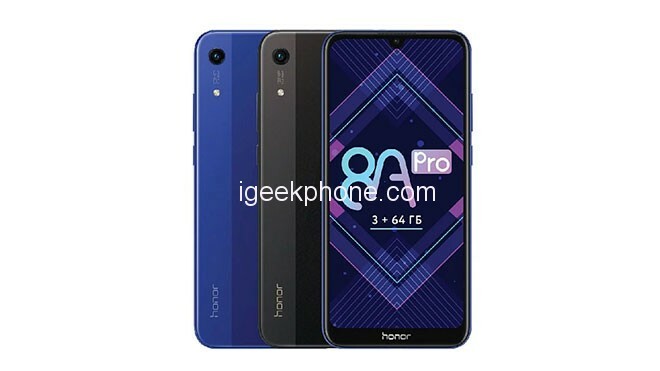 Honor, the sub-brand of China-based technology giant Huawei, today announced the new entry-level phone Honor 8A Pro. 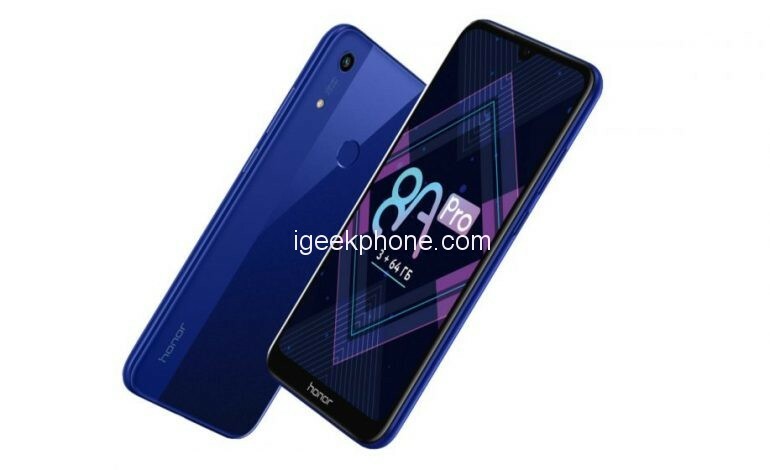 It was presented in China as Honor Play 8A earlier this year. Its Android 9.0 (Pie) version is thought to make users happy with the device, the expectations are quite above the price will be disappointing. The smartphone carries a 6.01-inch IPS LCD display at a resolution of 720 x 1560 pixels. In addition, the drop notched display offers a 19.5: 9 aspect ratio. The screen-to-body ratio of the Honor 8A Pro is 87%. Honor 8A Pro is powered by the MediaTek Helio P35 which is an eight-core (Cortex A53) processor running at 2.3 GHz. With the IMG PowerVR GE8320 graphics unit, this processor comes with 3GB of RAM and 64GB of internal storage. In addition, the device allows you to increase the memory up to 512GB with the microSD card input. From pleasant, it is necessary to note that the slot for SIM cards now finally supports the installation of 2 SIM + microSD. The device has a 3020mAh battery and it comes with Android 9 Pie based EMUI interface. On the back of the Honor 8A Pro, there is a 13MP camera with an aperture of f / 1.8. 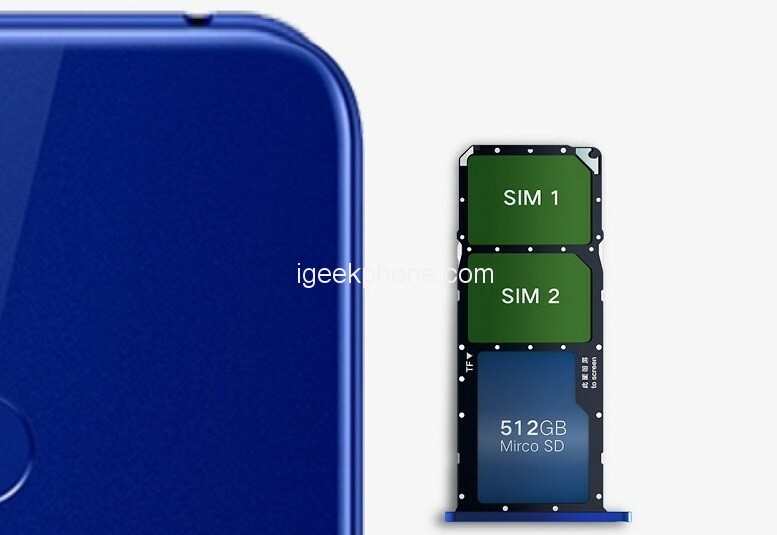 On the front side, a 5MP selfie camera is shown. One of the most distinctive distinctions from the Honor 8A is the fingerprint reader on the back. In addition, face detection and unlock feature is available. Unfortunately, we will not see USB Type-C here. The smartphone is available in two colors, Black and Blue. The price tag is $218. 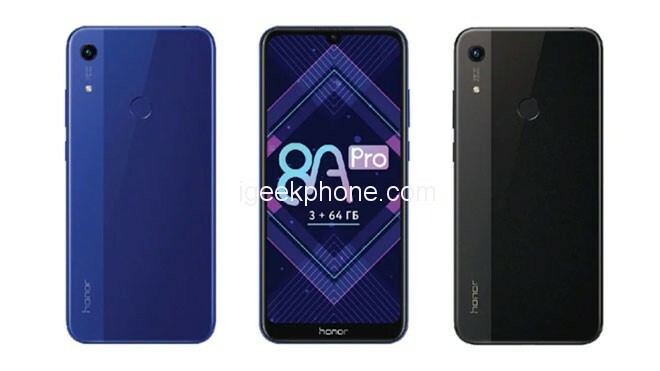 There is no information as to whether the Honor 8A Pro will be available in other markets.